﻿Opel has been part of Groupe PSA for twelve months – and is on the road to writing a successful comeback story. Last week, the company presented a half-year profit of €502 million and an operational free cash flow of around €1.2 billion. This was made possible above all by the affiliation with Groupe PSA, which on August 1, 2017, enabled the creation of a European champion. 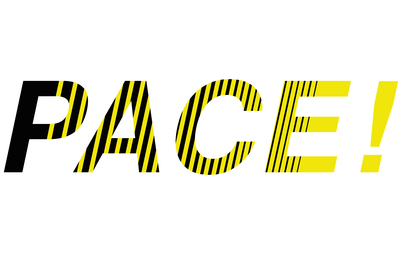 With the strategic plan PACE!, which Opel CEO Michael Lohscheller presented just 100 days later on November 9, 2017, the company bundles its strengths, leverages synergies and unleashes the full potential of the brand. With PACE! 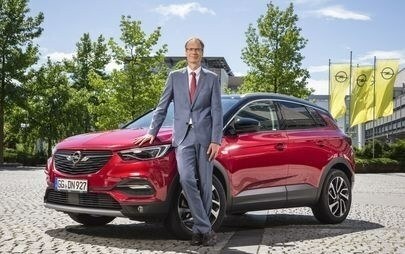 Opel will be profitable, electric and global. “We are a completely different company than 12 months ago. We have set the course for even more competitiveness and have already aligned many areas for the future. We are profiting massively from being part of the successful Groupe PSA. We are very grateful for this – and this is also an obligation,” says Opel CEO Michael Lohscheller. After just under one year as part of Groupe PSA, Opel is back in the black. The recurring operating margin for the first half of 2018 is 5%. This clearly shows that PACE! is working. The competitiveness of the production plants throughout Europe was significantly improved. Together with the social partners, Opel management has reached performance agreements at all European sites. This has already led to new investment decisions and product allocations across Europe. For example, the new Corsa – also in an electric version – will be produced exclusively at the Spanish plant in Zaragoza. The next generation of the Vivaro will roll off the assembly line in Luton, England, from 2019. The Grandland X SUV will be manufactured in Eisenach from the middle of next year – including a hybrid version that will follow by 2020. New product allocations were also announced for the engine and transmission plants in Tichy (Poland), Aspern (Austria) and Szentgotthard (Hungary). Details of the planned investments in Rüsselsheim and Kaiserslautern will be announced in due course. The successful integration of Opel into Groupe PSA is also reflected in the engineering organisation. The Engineering Center in Rüsselsheim plays an important role in the company and contributes typical Opel strengths to the group's global development network. With 15 Centers of Competence for various areas of technology and responsibility for the development of light commercial vehicles as well as the next generation of four-cylinder petrol engines, the Rüsselsheim Engineering Center assumes global responsibility for the entire Groupe PSA. The abilities of the various competence teams ideally complement each other as part of a global network – for the benefit of all five group brands (Opel, Vauxhall, Peugeot, Citroën and DS Automobiles). In addition, all new Opel vehicles will be developed in Rüsselsheim in the future. ﻿The collaboration between the development teams is well-received by customers. With the Crossland X, Mokka X and Grandland X models, Opel is superbly positioned in the high-growth SUV market and leads the European SUV B segment, among others. The Opel brand thus contributes to Groupe PSA’s successful SUV offensive with the X Family. In the first half of 2018, these models accounted for 167,200 vehicles sold by both brands. Opel continues its product offensive in Europe. Following the launch of the sporty Insignia GSi, the company will also launch a GSi version of the Corsa in the second half of the year. The new Combo Life passenger version and Combo commercial vehicle will also bring important momentum for growth. Next year, the all-new Corsa will follow – including a purely battery-powered electric version in 2020, which means that Opel will already have four electrified vehicles on offer in 2020. By 2024, an electrified version will be available in every European passenger car line, either with pure battery drive or as a plug-in hybrid. This will be possible by the prompt use of Groupe PSA's multi-energy group platforms. With new importers in Morocco, Tunisia, South Africa and Lebanon, the company forges ahead with its goal of doubling sales outside of Europe by 2020. Opel models will be assembled in Namibia from the second half of the year. By the middle of the next decade, more than 10% of Opel's sales volume is to be generated outside of Europe. The company also successfully uses existing Groupe PSA structures for these activities.